On September 19, 2007, 22 days before his passing on October 11, 2007, Sri Chinmoy gave his last public peace concert in St. Petersburg in Russia. Guest musician was Boris Purushottama Grebenshikov. Filmed by Andrey Nepochatov. The Enthusiasm-Awakeners singing group sing for about 30 minutes each morning for the 3100-mile runners every morning. Today they celebrated their 10th anniversary of when Sri Chinmoy gave them that name. Parvati is the leader of this group of girls. She has calculated that over the years her group has sung for 44 different runners from 17 countries. Of the 44 runners 9 were women. Ananda-Lahari has been the only runner they have seen every year since they have been coming to sing. She adds that they have learned 1528 songs from of which they routinely sing 227 of. Sri Chinmoy visited Prague and Budapest as part of the “Oneness – Happiness – Song Tour” in November 1990. This is the final piece of the Budapest concert. Filmed by kedarvideo, Switzerland. Recorded at a peace concert in Warsaw when Sri Chinmoy visited Poland in 1992. Filmed by Kedar Misani. In August 2007, shortly before his passing on October 11, Sri Chinmoy visited the world’s largest pencil that had been built by Ashrita Furman and friends in his honor. This enlarged video version shows the whole procedure from finishing the pencil until erecting it with the help of a crane in Jamaica, Queens, NY. In the meantime the pencil has been transported to the St. Louis City Museum and is included in its permanent exhibition of unusual objects. Filmed by kedarvideo, Switzerland. On July 16, 2017, the Swiss Sri Chinmoy Marathon Team organized its 1st Katzensee Triathlon (500 m Swim – 15 km Bike – 3.5 km Run) in the suburbs of Zurich, not far from the Sri Chinmoy Meditation Center and the Zurich Peace Mile. It was at the same time a Swiss celebration of 30 years Sri Chinmoy Marathon Team. First boy was Pushkar Müllauer in a time of 58:47 min; first girl Anete Klavina with 1:07:13 h.
Produced by kedarvideo, Switzerland. Music by Parichayaka Hammerl. Before the ONENESS-DREAM choir started his one-week tour through spiritual places, churches and abbeys in the Tuscany, they practiced in a beautiful old villa at the suburbs of Florence. 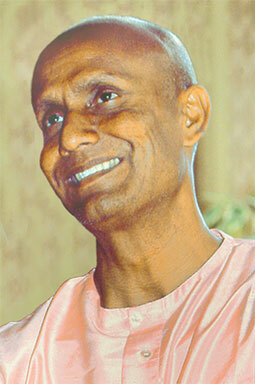 50 English songs of Sri Chinmoy were chosen and for two days straight they tried to interpret them with heart and soul. This intense preparation was powerful and impressive and gives an insight into the work of the ONENESS-DREAM group. Watch also the actual concert tour video below! In April 2017, twelve disciples of Sri Chinmoy performed a selection of 50 English songs of their master a capella in 31 sacred places throughout Tuscany, Italy. Mingling ancient religious places with the spiritual power of a 20th century master this is a historic summary of the tour, including all 50 songs. Learn more about the Oneness-Dream group and their previous and future tours on their website onenessdream.org. Use a good headphone or a decent loudspeaker system for optimal sound quality! Filmed and edited by kedarvideo, Switzerland. Highlights of Sri Chinmoy’s peace concert on September 15, 2005 in Mannheim, Germany. Filmed by kedarvideo, Switzerland.